Thanks to Kathy Boyd, organizer of the annual ArtFusion event, for organizing Re.Vive at Stronghold Caste outside of Chicago this year. 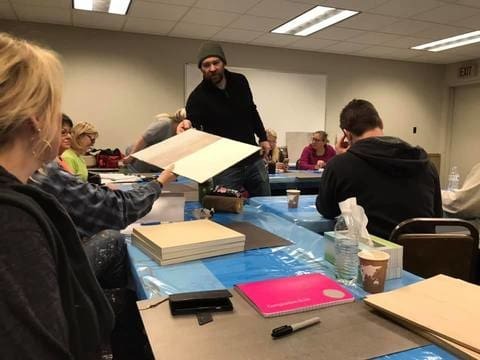 Re.Vive provides hands-on and educational training for individuals and businesses in the Decorative Finishing industry. 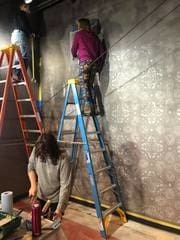 Decora was proud to sponsor the decorative metallic wall paint Marcopolo and do some additional training during the 3-day event. The 3-day event included refinishing the floors and walls in the Stronghold Castle conference area. 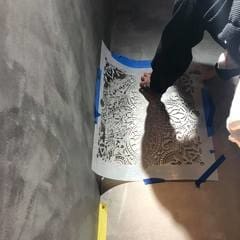 For our work Marcopolo Luxury was applied to the walls throughout with brush and trowel and used with a stencil. In addition we provided training for our Concrete Art product and a few other unique San Marco products. 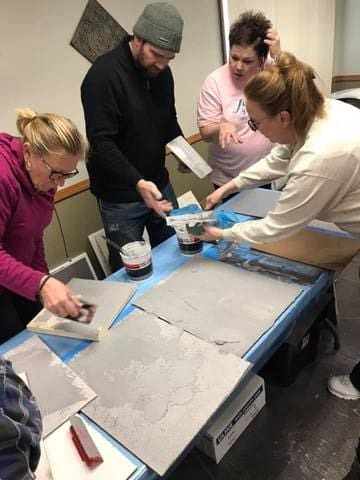 For more information about The Decora Company, training or the products we offer please see our website at: www.decorapainttools.com or call us. 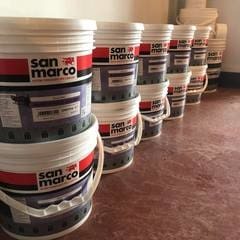 The Decora company provides San Marco products such as Venetian Plaster, Marmorino, metallic paints and other specialty plasters and paints.